Ashley Kruiz, known as the “Sweetheart of the South” or “automatic, Kruzamatic”, was an entertainer who had roots in Kentucky and Atlanta, Georgia. 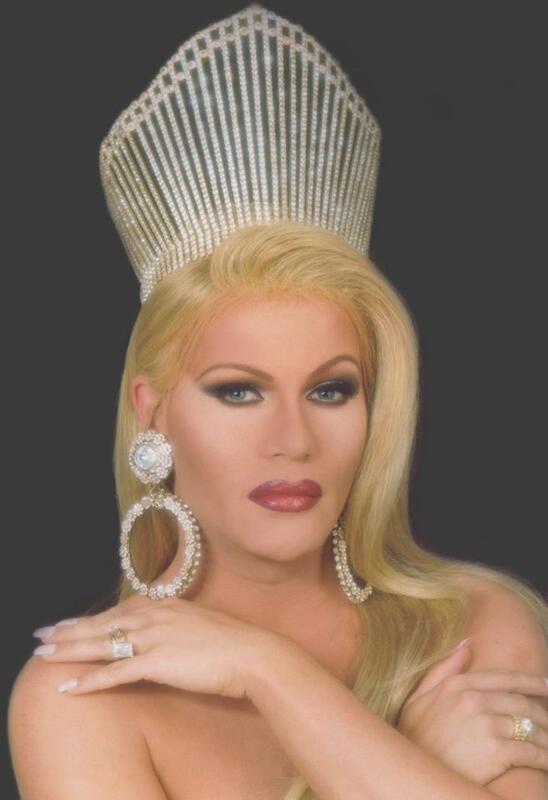 Originally from Frankfort, Kentucky, her first appearance in drag was about 30 miles southeast of her hometown at Café LMNOP in Lexington. She had performed all over the country and been a part of many top show casts including “LaBoy LaFemme” in Louisville, Kentucky and “Charlie Brown’s Cabaret” in Atlanta. 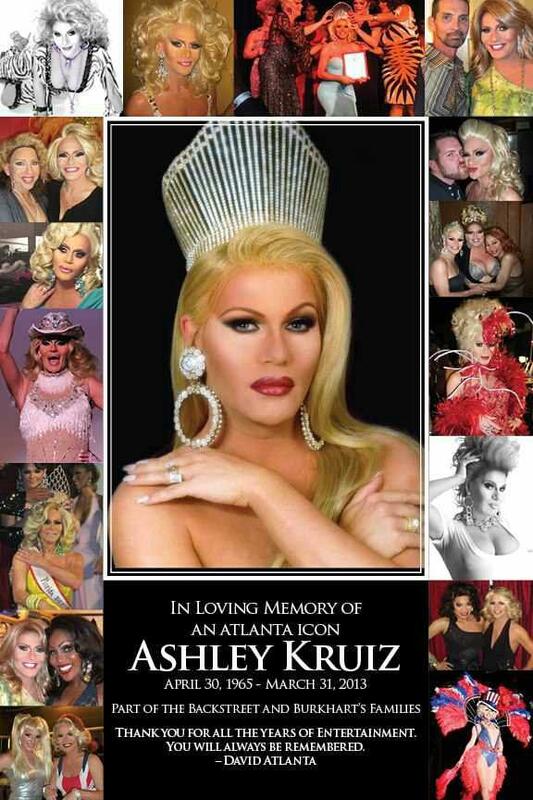 In most recent years, Ashley had been seen at places like Stage Door in Tucker, Georgia and Burkharts in Atlanta. Sadly we lost this amazing member of our community on Sunday, March 31, 2013. Our heart goes out to all of Ashley’s family and friends during this time of mourning. A Memorial Show was held on May 12th, 2013 at Jungle Nightclub in Atlanta, Georgia. Scarlett Dailey, Miss Gay Georgia USofA Classic 2007 crowning Ashley Kruiz as Miss Gay Georgia USofA Classic 2008. Ashley will live in the hearts, minds and souls of all who love her. Rest in peace my sister. The first time I saw Ashley Kruiz perform was at Loretta’s, “Home of the Cutie Pies”, in Atlanta, Georgia. When Madonna’s Vogue was a hit, J and J Productions, which was owned by the late Joseph Dobbins and the late Joel Davenport, were the owners of the pageant, Miss Vogue. Ashley Kruiz won hands! She was a great entertainer and it was a pleasure to have followed her over the years. Before her death, I had the good pleasure of interviewing her for 100 of the Most Influential Gay Entertainers, Volume II. You can find out more about her life and her story by visiting the website listed, or http://www.lulu.com/shop.